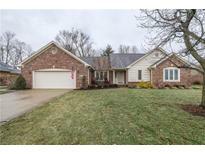 Below you can view all the homes for sale in the Hunters Pointe subdivision located in Greenwood Indiana. 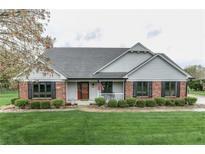 Listings in Hunters Pointe are updated daily from data we receive from the Indianapolis multiple listing service. To learn more about any of these homes or to receive custom notifications when a new property is listed for sale in Hunters Pointe, give us a call at 317-493-0959. Outside Find Enclosed Screened Porch, Big Wooden Deck, & 2+ Car Garage w Workshop Area. MLS#21633725. Jeff Paxson Team. Updates To Home Include Newer HVAC, Roof, Exterior Paint, Remodeled Bathrooms, Replacement Windows, & New Gutters. MLS#21616396. Jeff Paxson Team.